480-456-8888 | Ways To Improve Your Landscape Through Proper Hedging & Trimming Technics. Every Metropolitan Area Provides Innumerable Opportunities To Enjoy The Vast Plant Species That Thrive In The Local Climate. At CAM Solutions, We Possess The Knowledge And Experience To Help Guide Our Customers In Proper Plant Installation And Maintenance Decisions. This Knowledge Also Allows Our Team To Educate Our Clientele In Plant Requirements, Maintenance Schedules, And Property Aesthetics. At CAM Solutions, We Have Cultivation Experience And Know How To Control The Various Plant Species Known To Survive In Your Climate. From Those Species Indigenous To The Climate To Those Relocated From Other Areas Across The Country, You Can Count On Our Experts To Keep Your Plants In Excellent Care. For Best Landscape Results With The Least Amount Of Care, There Is A Large Variety Of Floras Which Are Best Suited To Each Climate. These Plants Can Range In All Categories From Wildflowers And Grasses To Trees And Shrubs. Plants Brought In From Other Climates Are Not As Easily Maintained And Require More Care And Attention. Our Expert Team Is Highly Educated In Understanding The Requirements Of These Different Plant Species And Prune According To The Customer’s Preference While Staying Within Industry Standards. Plants Are Pruned Based On Their Individual Growth Patterns Allowing Us To Maintain The Natural Shape And Health Of The Plant. All Groundcover And Shrubs Along Sidewalks And Curbing Are Pruned To Keep Right-Of-Way Areas Clear. With Our Experts Leading Your Landscape Needs, We Can Assure Proper Plant Irrigation Techniques And Plant Placement For The Health And Longevity Of Your Plants. We Also Follow Best Practices To Ensure Correct Maintenance To Avoid Stress On Plants And To Guard Against Disease And Insect Infestation. Our Technicians Have Many Years Of Experience Treating All Types Of Plants And Can Work With You To Ensure The Best Types Of Plants To Sustain The Weather, The Soil, And The Shade Conditions Available On The Property. Our Experience Can Save You Time And Money With Proper Irrigation, Weed And Insect Control, And Fertilization And Pruning Techniques. 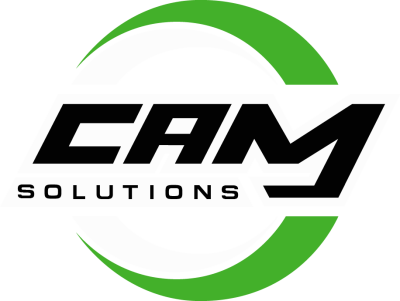 Look To CAM Control To Help With All Of Your Landscape Needs.